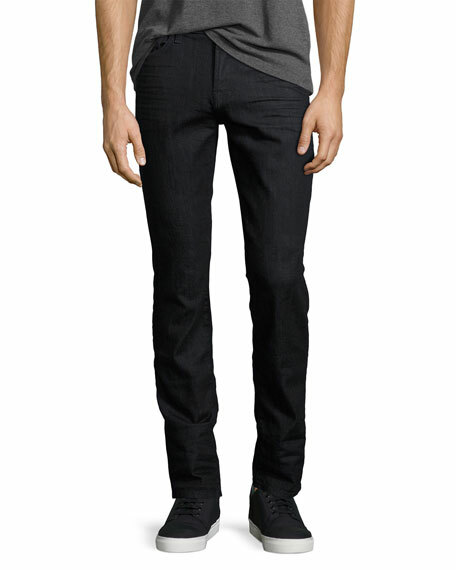 7 For All Mankind "Slimmy Slim" fit jeans in 10-ounce Italian stretch denim. Approx. measurements: 8.3" front rise; 13.3" back rise; 15.5" leg opening (size 32). Slim from top to bottom. AG "Tellis" jeans. Five-pocket style; signature stitching on back pockets. Leather logo patch at back waist. Fading and whiskering through legs. Relaxed waistline; slim-straight fit. Button/zip fly; belt loops. Cotton/polyurethane. Machine wash. Made in USA of imported material. Model's measurements: Height 6'1"/185cm, waist 32"/81cm, typically wears size M.
G-Star RAW "Arc" jeans in light-wash with fading and whiskering. Approx. 36" inseam. Five-pocket style; signature stitching on back pockets. 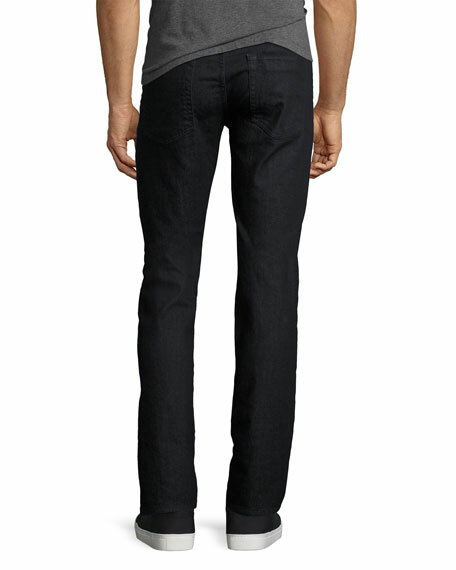 G-Star RAW "Arc" jeans in light-wash with fading and whiskering. Approx. 36" inseam. Five-pocket style; signature stitching on back pockets. Short, low rise. 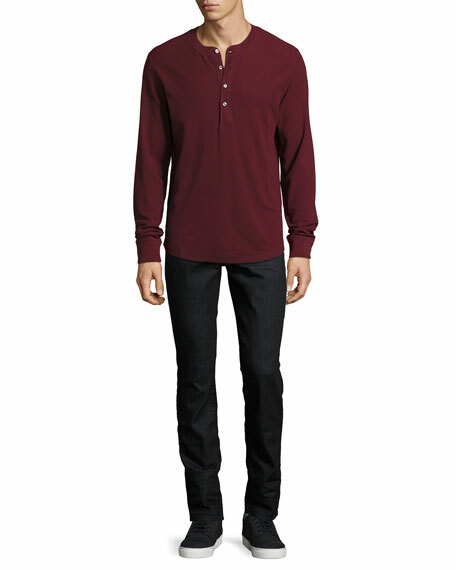 Slim fit from hip to hem. Button/zip fly; belt loops. Cotton/spandex. Imported.